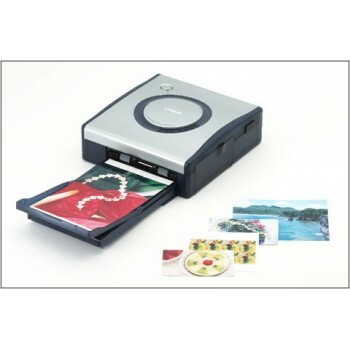 PMA 2002: 09:00 EST: Canon has today announced its new Direct Card Photo Printer CP-100. The CP-100 takes the concept of the CP-10 to the next logical level and offers full sized 4 x 6 in dye-sub printing direct from a connected compatible camera (or from a computer using a separate kit). The CP-100 is compatible with all the new PowerShot cameras announced today and older PowerShot cameras via a soon to be announced firmware update.